A QUALITY torch is one item fishos can't live without. Head torches are useful, as are lamps, but around camp or in the boat, a really powerful hand-held torch is an essential tool. Nebo is a relatively new player in the Aussie light market with a full range of quality products at decent prices. I've been using a few Nebo products over the past few months and I'm particularly impressed with the Redline Big Daddy. The Big Daddy is one of those torches which makes others envious with its impressive brightness and robust build quality. At 2000 lumens, the Big Daddy is no slouch when it comes to brightness. It's also waterproof with a IPX7 rating, which basically means it can be submerged to a metre. Other features include a 4x adjustable zoom, five different light modes and a lanyard for wearing around your wrist. There's also a glow-in-the-dark on/off switch for finding the torch in the dark. The Big Daddy fits comfortably in the hand, and while it's no minimalist backpacking torch, it's still reasonably portable for such a powerful light. 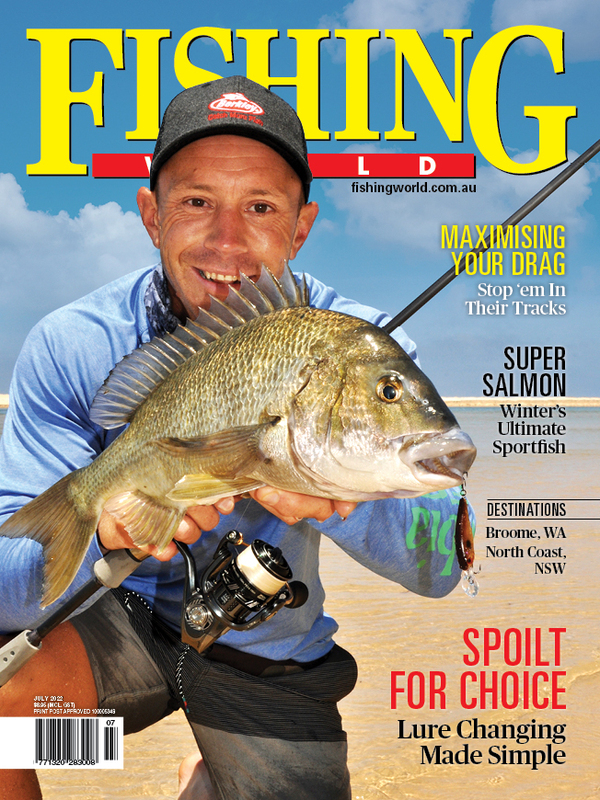 The Big Daddy has proven itself useful onboard the Fisho Bar Crusher. Navigating impoundments or rivers at night can be treacherous with timber, boulders and shallow water near impossible to see in low light. A few years back a spotlight was the answer, but these were cumbersome, required a 12 volt source, and often didn’t withstand the harsh marine environment. The tough waterproof Big Daddy on the other hand is stowed safely onboard and used whenever a safe after dark passage is required. 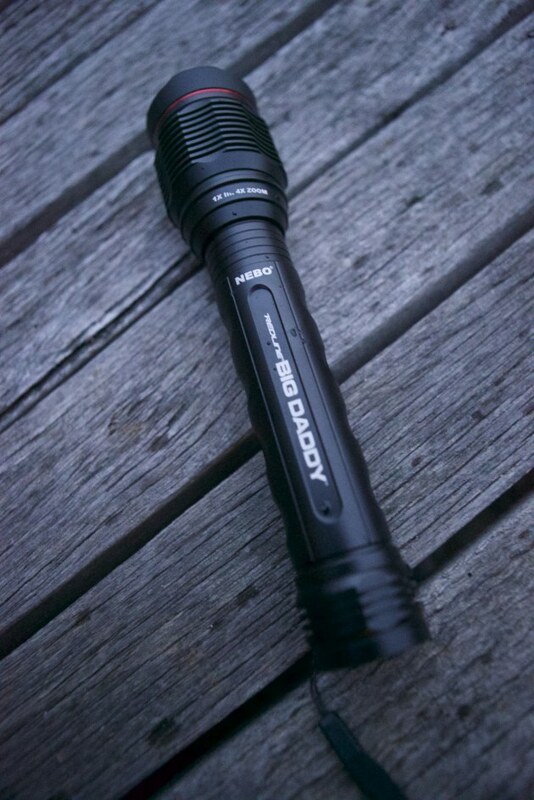 With a suggested retail price of $129, Nebo’s Big Daddy is great value for such a powerful and useful light. 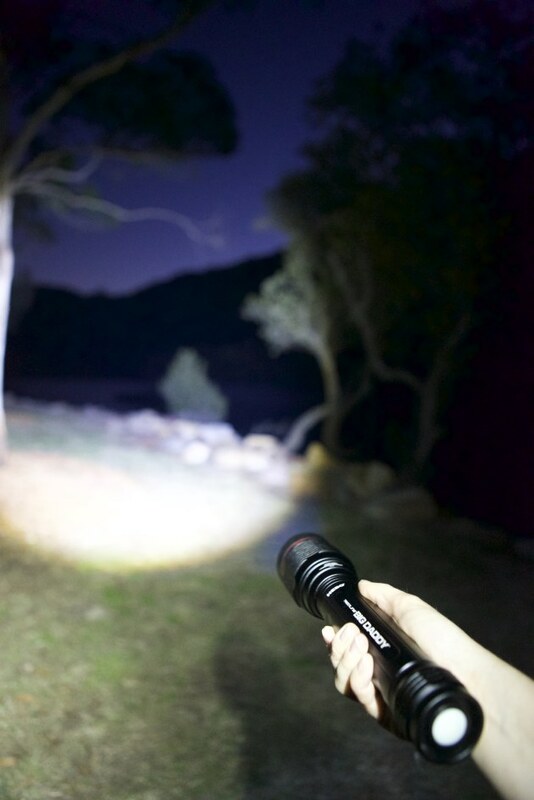 At 2000 lumens, the Big Daddy is no slouch when it comes to brightness.